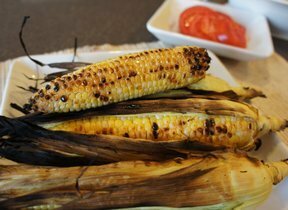 Fresh corn on the cob is a summer favorite enjoyed by both young and old. There is nothing better than sinking your teeth into that first ear of corn in the middle of summer. Sweet and natural, corn should taste like it was just picked from the field. Use the freshest corn you can get and treat it gently. We can show you how to slice and salt eggplant to remove excess moisture and then fry it up in a pan. Also, see other cooking methods. Let us show you how to clean a chile pepper without the painful effects of the capsaicin that they contain.